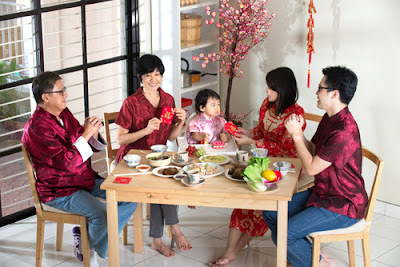 With the Chinese New Year just around the corner, all Singapore residents are pretty much influenced with the festival feeling and most people take an opportunity to go on holidays in order to participate in the exuberant New Year celebrations. Most people celebrate the New Year occasion with their friends, families and also their close relatives by visiting each other’s homes. Therefore to ensure maximum comfort of your guests, you need to seek aircon services prior to the festival. If your aircon is not operating efficiently, plenty of energy shall be lost. A non-energy efficient aircon system shall lead to payment of high energy bills at the end of the month. If you service your aircon system more often, then this is something you will never have to be concerned about. Periodic servicing will keep your aircon system efficient always. 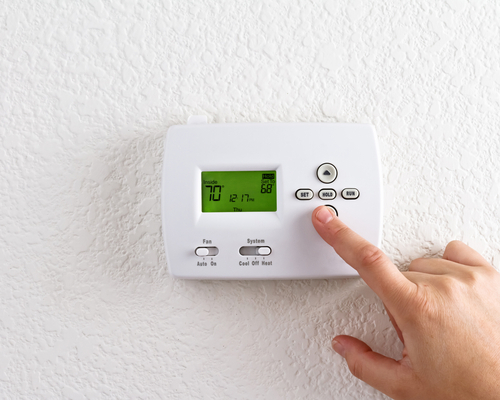 Energy costs can soar particularly during the cold seasons. The most fundamental thing to do to ensure your aircon system operates efficiently is to regularly service it. 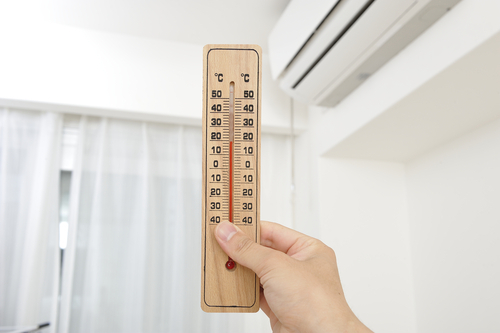 An aircon system which is not properly maintained is quite likely to develop plenty of problems later on. Some of these problems may potentially cause injuries or harm you or other individuals at your home, such as a loose screw. Regular aircon servicing could avert problems that may potentially harm either you or other people. Safety to everyone shall be guaranteed by regularly checking and servicing your aircon system. 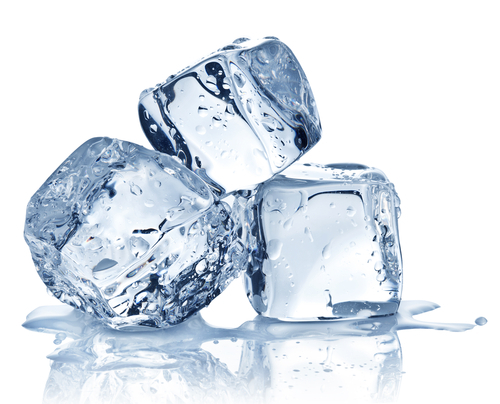 A minor problem in your aircon system could result in severe injuries if it remains unchecked for long periods of time. 3.To help avoid costly breakdowns. Making sure that your aircon is regularly serviced prevents the possibility of costly breakdowns in the future. Servicing your aircon periodically shall assist you in locating and fixing issues that may trigger problems early. Like for instance if there is plenty of dust inside the aircon system, occasional maintenance shall help in eliminating it before it begins to accumulate. You will additionally be able to identify any other problems before they become bigger. Early detection of problems is paramount since it helps you take necessary measures to ensure that they don’t become bigger in the future. 4.A clean and properly maintained aircon system operates more silently. 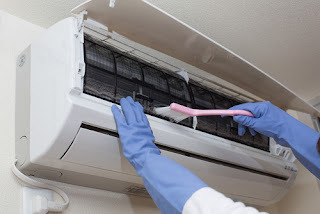 Aircon systems which are hardly ever serviced tend to be noisy. The irritating noise can prevent you from enjoying tranquility and quietness at your home. The unpleasant noise can be avoided easily by making sure that your aircon system is regularly serviced. 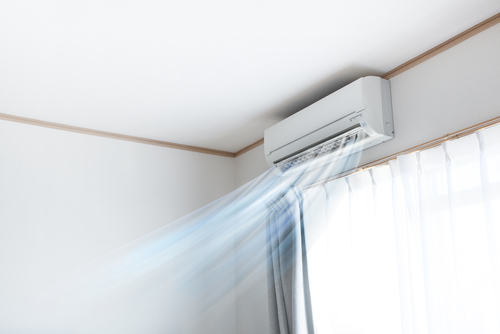 This can be facilitated by lubricating moving parts of the system in order to reduce friction that causes the noisy operation of the aircon system. Lubrication additionally aids in making your system function more efficiently. 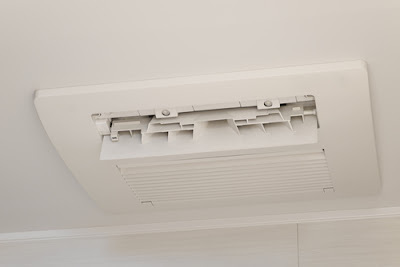 In case you hear any unpleasant noises originating from within the aircon system then it certainly is because it has not been properly serviced recently. 5.To enhance overall system performance. You would definitely want your aircon system to circulate air at your workplace or home efficiently. Inadequate maintenance could greatly impede it from achieving its potential. 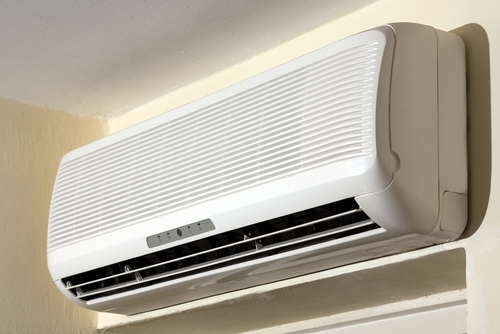 The aircon system may not circulate air as properly and efficiently as it would if it were perfectly maintained. Nearly all problems that could be inhibiting your system from running at its maximum potential could easily be avoided by servicing it regularly. 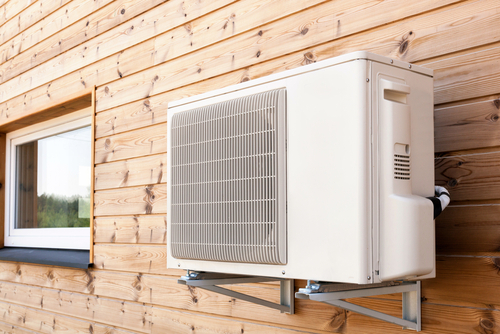 So if you really want your aircon system to operate at its maximum potential always, you need to seek an aircon services expert to frequently service it. 6.To ensure the warranty of the system still prevails. Having a warranty gives you the authority to hold the aircon manufacturers responsible in a situation where the system doesn’t function properly if the period covered by the warranty has not expired yet. On the other hand, you won’t be allowed to hold the manufacturers liable if you haven’t properly maintained your aircon. A professional who is recommended by the aircon manufacturers needs to service your aircon regularly if you want your warranty to persist. In case your aircon malfunctions before the period covered by the warranty finally expires, you shall have no one to blame except yourself if you never properly serviced your aircon system. 7.To extend the lifespan of the system. You certainly want your aircon system to operate for long without encountering any kind of mishaps. Regularly servicing it will greatly enhance its lifespan. Your aircon system, if properly and regularly checked and serviced, shall end up serving you for a very long time. Hence, if you want to avoid spending your money on purchasing a new aircon system in the near future, ensure that the one you have at the moment is well maintained. You will spend a lot less on servicing your aircon as compared to purchasing a new one simply because the old system malfunctioned because of being poorly maintained. 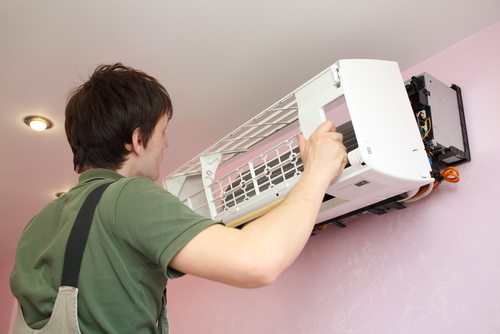 Ensure that a professional who knows exactly what he/she is doing services your aircon system. Avoid just hiring anyone that you come into contact with that convinces you that they are an aircon expert. If you hire an unqualified individual, they may end up destroying your system. You may also end up losing your warranty if you make up your mind to seek an individual who is not up to the task. 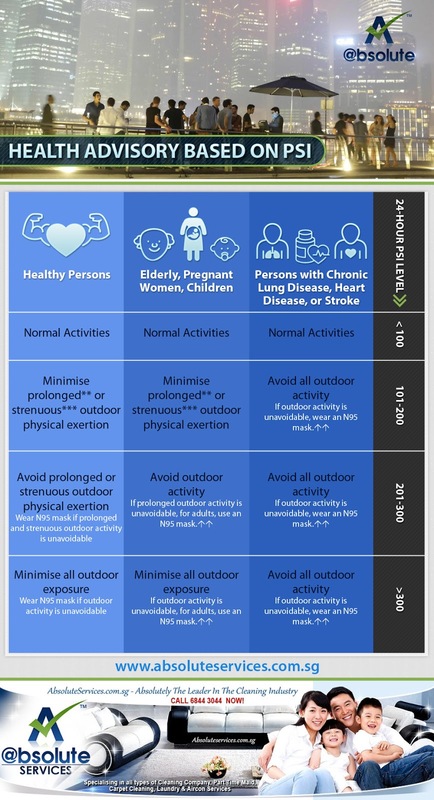 An unprofessional person may injure themselves while trying to service your aircon, or can subsequently do things that could harm or injure other people. When you finally get an aircon servicing expert, make sure to work closely with them and also come up with a schedule that shall be used to keep your system functioning at its best always. In Singapore, having an air conditioner in your office and home is a basic need rather than a want due to the weather which is always humid and hot. Living without an air con will make life unbearable due to the constant perspiring, sweating and general discomfort you will experience from clothes clinging on to the body and many more heat related discomforts. The air con subjects one to enjoying a cool breeze and enjoys some fresh cool air that is not stuffy at all. However, in the course of enjoying your cool sensation the air-con might abruptly switch itself off and then on after a few minutes. This is quite an irritating experience and before concluding on the possible cause of this scenario, you should try establishing the cause of this occurrence before taking it for repair. 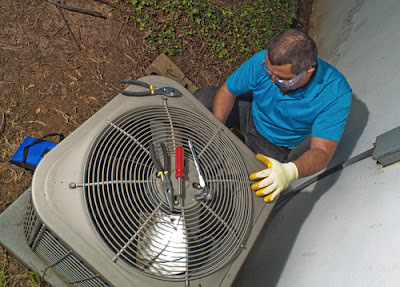 The action of an air conditioner switching itself on and off can be caused by several factors and thus the need for the actual cause to be established first as it could be as a result of a fault that is simple. One can establish the cause on their own if they understand the various basic parts and components of the air con. The most basic parts include the expansion valve, condensing unit, compressor, evaporating unit and the thermostat. You can check for the do it yourself (DIY) guide online on how to check if any of these components are faulty before calling in a repair guy. This will save you some money as the professional will always charge for the diagnostic services offered. Below are some of the possible causes of the air con switching itself on and off automatically. When dirt accumulates on the compressor of your air conditioner in Singapore, it may cause the switching on and off action. The dirt blocks the excess heat generated by the compressor when it operates normally from being ejected into the environment and this could cause the air con to go off momentarily. This action of heat being blocked from being released into the surrounding air causes both its pressure and temperature to rise. This in turn causes the circuit of the air con to trip leading to the switching off and then on after sometime. This is a protective mechanism to protect the air con parts from damage which can be occasioned by the pressure and temperature rising high. After the compressor cools down, the conditioner reboots and resumes its normal operation. It is important to check whether the compressor is dirty or not before you eliminate it as the cause of the switching on and off. If this is the root cause of this issue, you should ensure that the compressor is well serviced to eradicate the dirt. You could also do it on your own by taking out the coil and ensure that it is cleaned using running water. It is important to check the settings on the conditioner as sometimes the automatic switching on and off could be as a result of some erratic settings. It is possible that a person could have made these settings when they were in the office or home and then forgot to restore them back to the original settings they found. 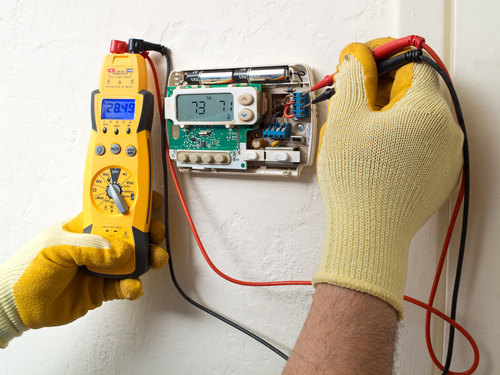 Before resolving to call in a technician to repair it, you should first of all check the settings to ensure that they are not set to switch off and on after certain duration of time. Regular checking of the settings made on the conditioner could avoid this scenario in time. One sure way of ensuring that there are no instances of erratic settings on your air con is by taking it for servicing regularly as the professional technicians will always check this aspect every time and rectify it in time. A malfunctioning or faulty air con component could be the cause of the irritating automatic switching on and off of your conditioner. It could be an issue with the thermostat which is the component responsible for regulating and maintaining the temperature felt in a room that the air con operates in. The thermostat functions by sensing whether the temperature in a given room is at its optimum and maintains it that way. If it senses a change in the room temperature then it prompts the conditioner to either raise or drop the room temperature. If it is faulty, it will sense wrongly and it may thus cause the shutdown of the conditioner leaving the room hot and stuffy much to the discomfort of the occupants in the room. Professional technician ought to be called in to rectify this issue. Another component that could be faulty and cause this issue is the circuit board which controls the air con fan. If it is faulty then the air con would have high temperatures and pressure leading to it shutting down and rebooting unpredictably. This situation would require the services of a professional repair technician to sort it out well. Problems with the condenser could also lead to the conditioner switching on and off automatically. The condenser normally cools vapors that come from the compressor, another component of the conditioner. The switching on and off could be as a result of a blocked condenser. The solution to this issue is to ensure that the debris blocking the condenser is removed and its fins and coils are cleaned. All the above factors are possible causes of the automatic switching on and off of your air conditioner in Singapore. They are possible explanations of the query why air conditioners behave in this way. It is advisable to first of all establish the actual cause that could be making your conditioner to behave in the way it does before calling in the repair professionals. Frequent servicing and regular cleaning of the crucial components like the compressor and condenser could also help a big deal in ridding off this issue. Ensure that you check your conditioner regularly and also learn of ways to do self-maintenance on it to save on costs and also prevent it from getting permanently damaged which would force you to replace it.